Here you can find Original Porsche Dealer Software DVD for your porsche cars. Software DVD There are 12 products. Porsche PET 7.3 is the Porshe electronic parts catalog. 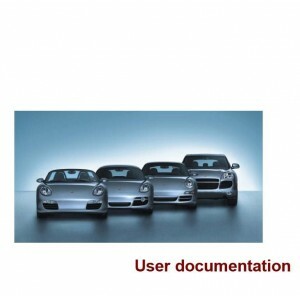 It contains part numbers for Porsche genuine parts. Help piwis2 update from low version to the latest one V14.35. Latest Version V14.75, add new car Porsche Macan in this version, can work with 2015 new cars. The upgrade of PIWIS Tester II V15.600 is same as usual way, just insert the DVD and connect power supply to laptop, choose [Tools] [DVD Update] then it will install automatcailly. The upgrade of PIWIS Tester II V15.350 is same as usual way, just insert the DVD and connect power supply to laptop, choose [Tools] [DVD Update] then it will install automatcailly. The new version of PIWIS Tester II v16.200 Released, software version is new release at Dec 2015 last month. Update DVD V17.100 for the customers who already have Piwis ii tester and software and want to update from old version to new version. Update DVD V17.500 for the customers who already have Piwis ii tester and software and want to update from old version to new version. For the customers who already have Piwis ii tester and software and want to update from old version to new version V18.100.